UEFA Europa League 2015/16. Semi-finals. First leg. 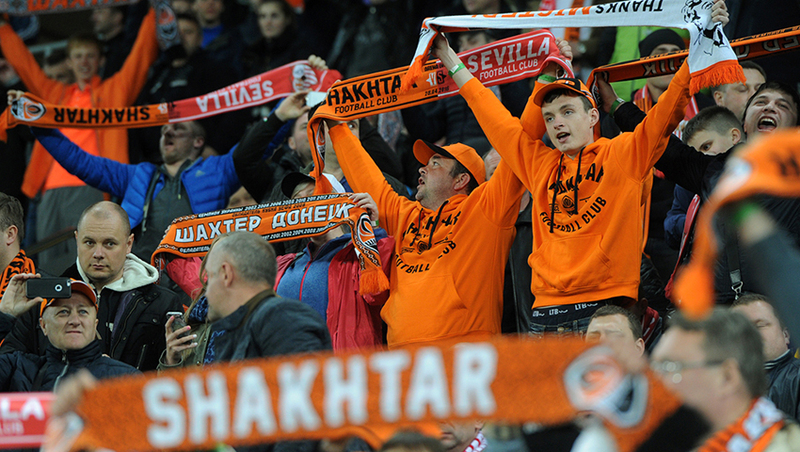 Shakhtar took the pitch having the optimum line-up, with Yevhen Konoplyanka appearing for the Spanish side from the off. The visitors got off to an aggressive start, offering the Pitmen some great pace. The first dangerous attacking move by Sevilla resulted in a goal: on 6 minutes, Vitolo received a right-hand pass from Gameiro, getting the ball on his left foot and striking it low just under the feet of Andriy Pyatov – 0-1. Donetsk were initially taken aback by this turn of events, but soon they charged forward having all out. The visitors dropped deep, using the petty foul tactics, though it did not help them ultimately. On 18 minutes, the Sevilla penalty area saw a dangerous move following an Ismaily cross, with the Pitmen equalizing some five minutes on. Yaroslav Rakits’kyy cut off the entire attacking third of the visitors with his long ball from the midway line, with Marlos firing it into the bottom corner just to make it 1-1. 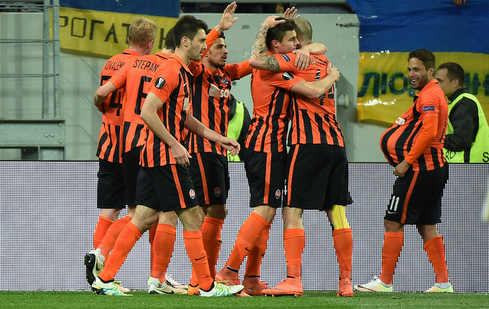 After that, Shakhtar were unstoppable.Taison fired it dangerously only to see his attempt go just wide. Donetsk launched an excellent attack, when Taras Stepanenko put Marlos through with a pitch-long ball, with the latter slaloming along the edge of the box, with his pass never arriving at the oncoming Taison. The pressure on the Spanish side’s defensive third was big enough, with the Pitmen grabbing a brace on 35 minutes. After playing a corner, Marlos delivered a left-hand cross into the goal area, whereStepanenko headed it home to make it 2-1. Being Taras’ first Europa League goal. Until the end of the first half, the Donetsk team continued breaching the opposition defence forcing Sevilla to make numerous errors in their half, with no more goals scored. Immediately after the break, the visitors stepped it up, with Shakhtar being prepared for that and launching fast counterattacks. Gradually, Sevilla played more and more powerfully, with Pyatov parrying away a difficult shot,with the opposition goal going just wide. There was a reason to award a penalty against the visitors, when a Marlos effort flew onto the target, resulting in a defender handball. Pyatov often joined the play, but midway through the half, the Pitmen neutralised Sevilla pressure, who lost the substitution player Krohn-Delhi due to a heavy injury. The charges of Mircea Lucescu produced some dangerous counterattacks, with the visitors also seeking a chance in front of the goal. 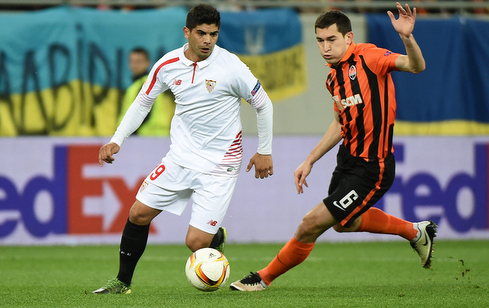 On 81 minutes, they awarded a penalty following a foul on Facundo Ferreyra, which was converted by Gameiro – 2-2. After that,Pyatov was restless. In injury time, Lucescu made a triple substitution with attacking focus, fielding Bernard, Eduardo andWellington Nem. Before the final whistle, the Pitmen earned a few set pieces, and Sevilla keeper coped with an Ismailyshot from beyond the box. 2-2 - the teams repeated the result of the 2007 UEFA Cup games. The return leg will take place in Sevilla on May 5.